Spotted on the Met Gala red carpet: Madonna. 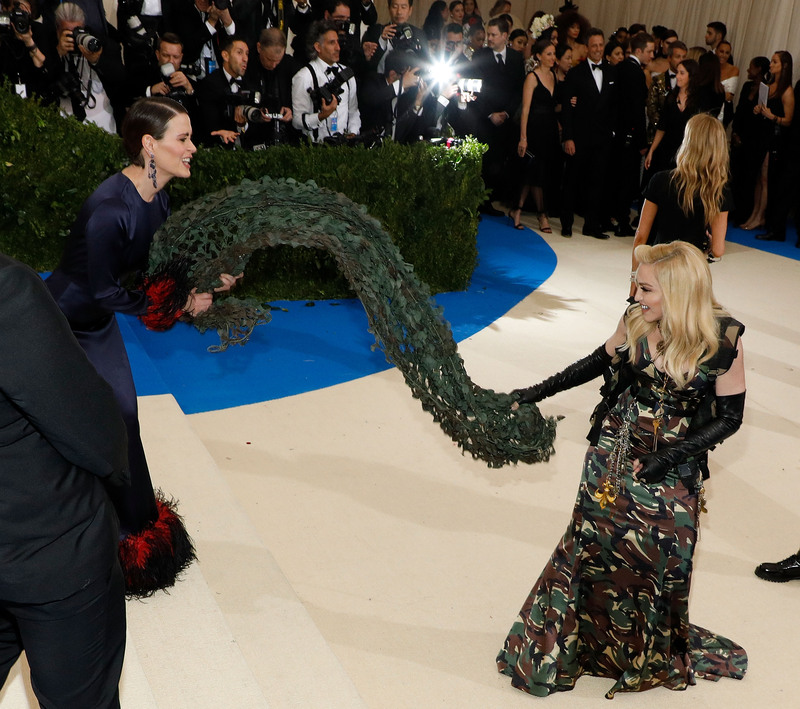 Also spotted on the Met Gala red carpet: Sarah Paulson spotting Madonna, and freaking out. The annual fashion event in NYC clearly brings out a lot of big names who get together, dress fancy, and rub elbows. It’s also a perfect opportunity for fangirling, clearly, as Ms. Paulson just demonstrated. She saw Madonna, and totally lost all chill. 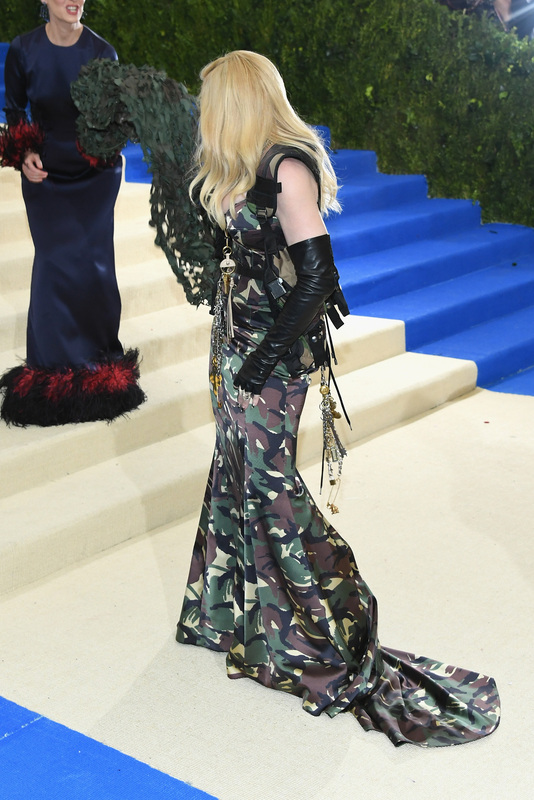 And then…Sarah Paulson grabbed Madonna’s dress? 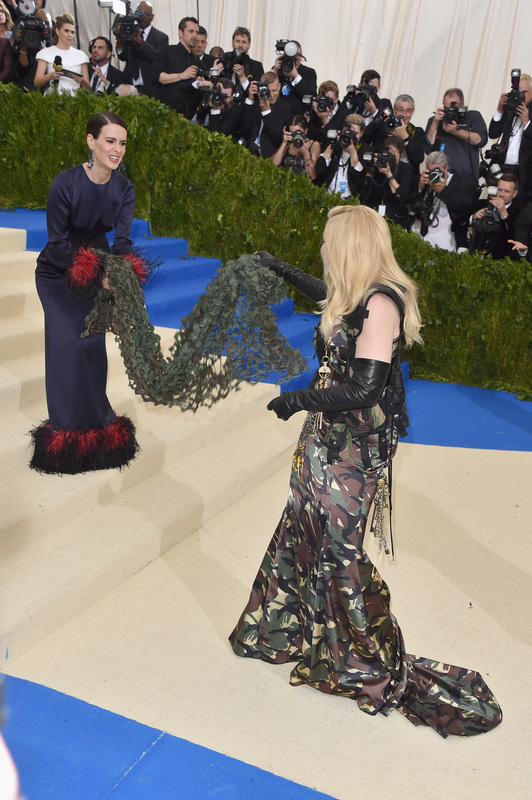 Honestly, it’s hard to tell what went down next, but from the pictures and footage we have, Sarah grabbed the train of Madonna’s camo dress, and started fooling around with it. Admit that if you were close enough to Madonna’s train, you’d grab for it, too. Is this like some fierce woman tug of war? Live footage from the carpet shows us that yes, it was a little playful moment between the two of them. There were a lot of great moments on the Met Gala red carpet, but this one might be one of the best. And because you’re probably wondering: Sarah is wearing Prada, Madonna is wearing Moschino. If you’re looking for more Met Gala 2017 shenanigans, you can check out all our coverage right here.